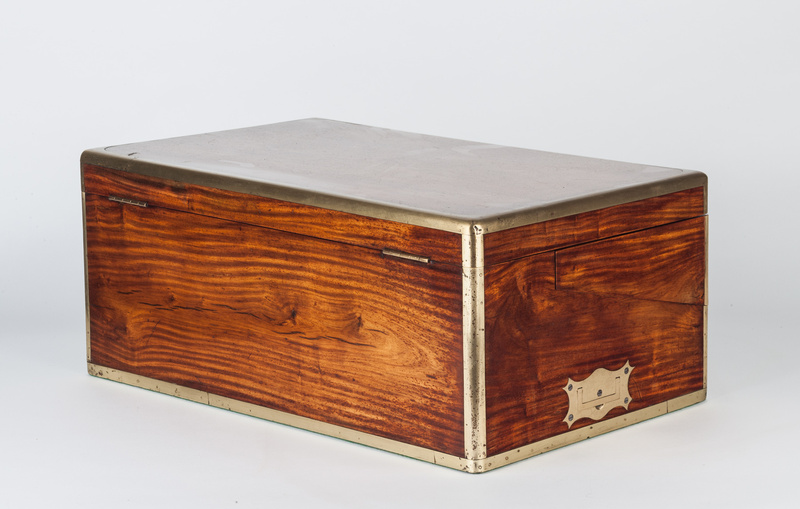 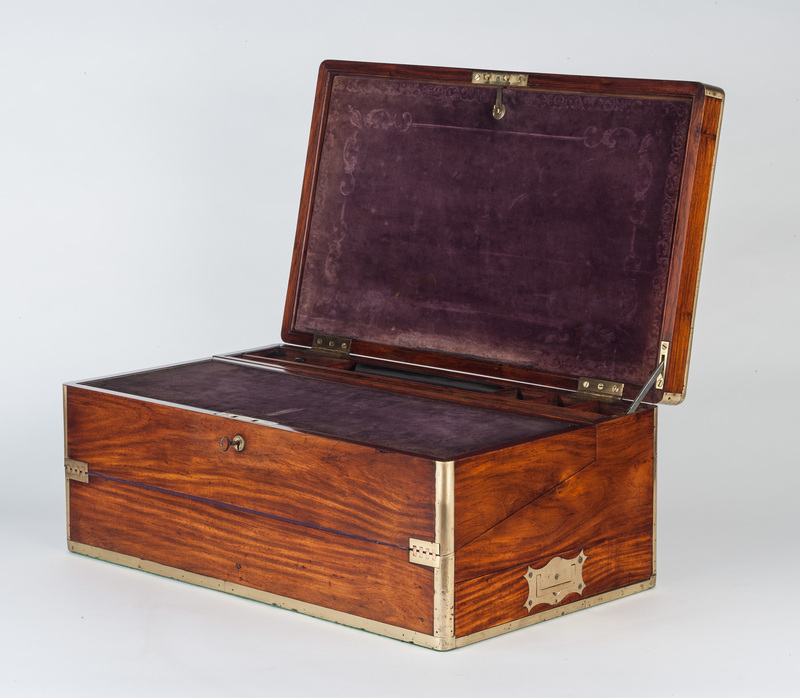 Chinese hardwood, brass-bound and camphorwood lined campaign travelling desk. 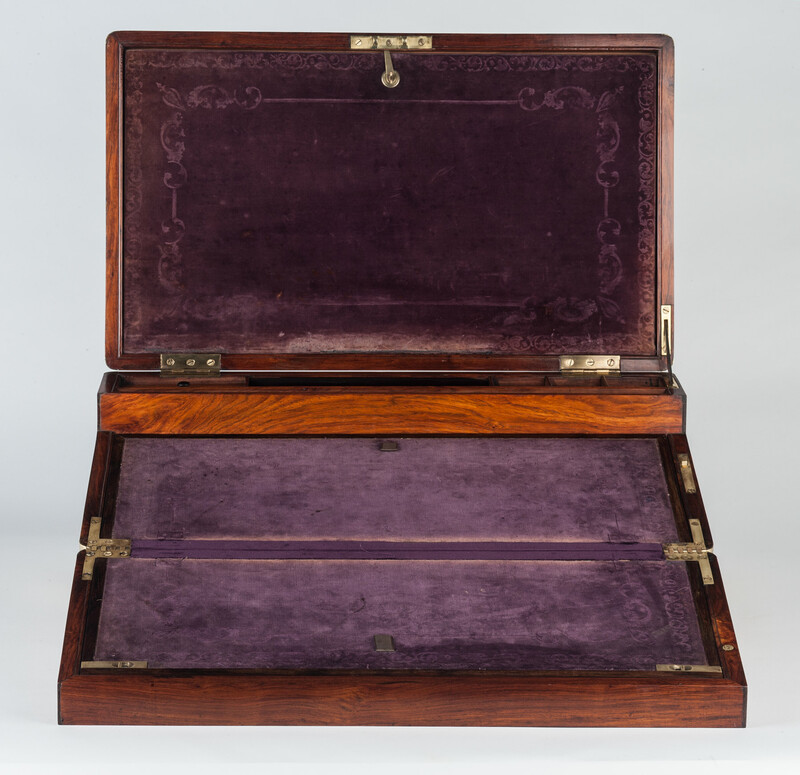 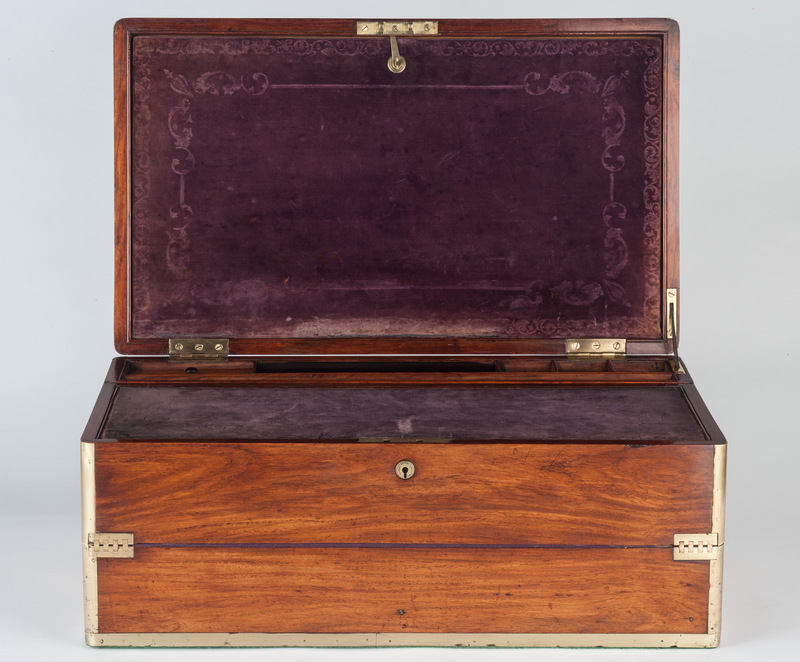 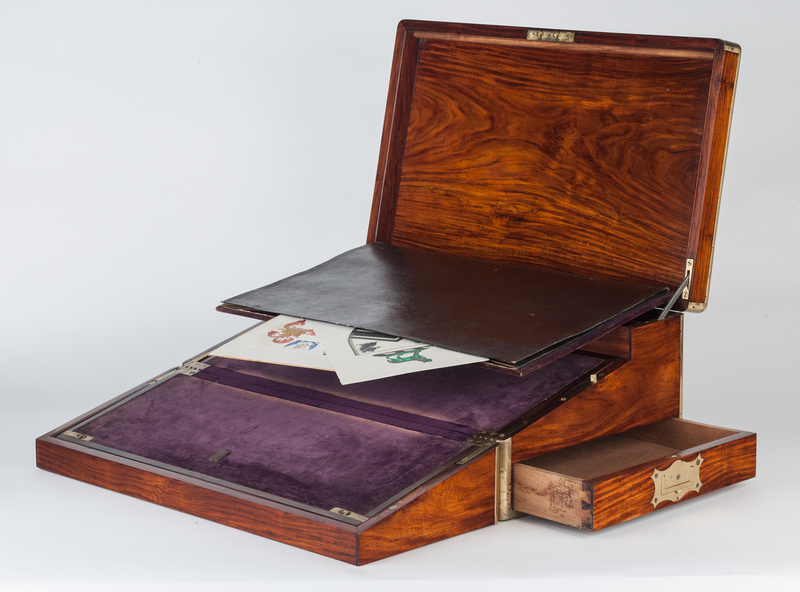 Original blind-tooled purple velvet writing surface, three small concealed drawers within, a full length drawer beneath. 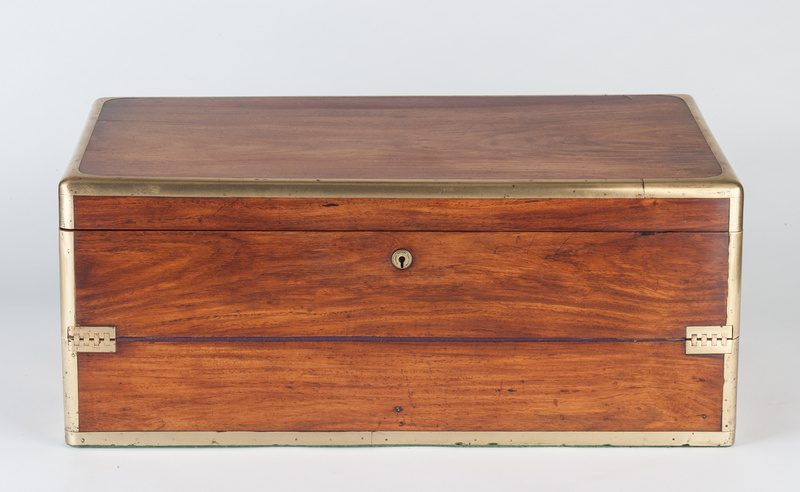 Chinese for the English market with a Hobbs & Co Patent Protector lock, circa 1850.